Charles Darwin had a rather muddled early years. His father was a doctor and he first studied medicine and then, when he neglected these studies, was sent to Cambridge to get a degree with the idea of becoming a Church of England priest. During his time at Cambridge he became friends with a botany professor, John Henslow. When Charles finished at Cambridge in 1831, Henslow recommended Darwin join an expedition aboard HMS Beagle under the command of Captain Robert Fitzroy. Darwin would go as an unqualified naturalist. It was to be a 2-year trip. After a few arguments, Darwin's father agreed to finance the trip. In the end the voyage lasted five years. Darwin spent much of his time on land investigating how the land had been formed and making natural history collections. A lot of the time Darwin had nothing to do and spent his time thinking, reading and making notes. He also spent quite of lot of time being sick as he suffered very badly from seasickness. 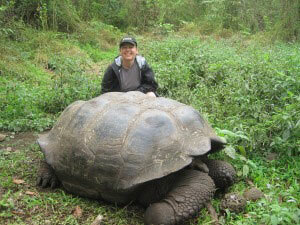 Darwin visited five continents, including a memorable visit to the Galapagos islands in the Pacific Ocean. The Galapagos archipelago is a collection of small volcanic islands, each with a distinct landscape. While there he studied finches, rather large tortoises (see picture, the man is there to show you the relative size) and mockingbirds. This he added to the things he had seen elsewhere. When he got home in 1836 he showed his specimens to fellow biologists and began writing up his travels. Darwin started to believe that evolution, how we change and grow, happens through something he called 'Natural Selection'. But this idea went against what Darwin had been brought up to believe as to how the world had begun. He wanted to think more about it so, instead of publishing anything about that, Darwin wrote a simple account of his travels. By 1858, 22 years after he got back, Darwin had written almost 250,000 words on evolution and published 0. Then an admirer of Darwin's, Alfred Wallace, asked Darwin how he should publish his own ideas about evolution which were almost the same as Darwin's. Darwin realised that if he didn't go public quickly then Wallace would take credit for the new ideas. But Darwin didn't want to treat Wallace unfairly so he agreed to present both his findings and those of Wallace at the same time to Britain's leading Natural History body, the Linnean Society. In the end, Darwin missed the presentation as his son, aged 18 months, died of scarlet fever about the time it was due to take place. 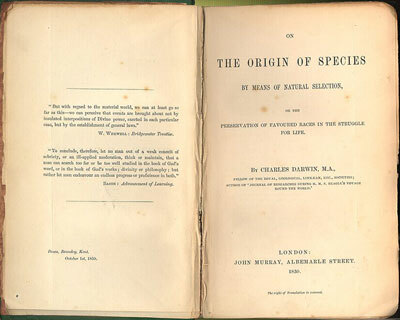 Darwin then published his ideas on evolution in a book called “On The Origins Of Species” and it would become one of the most important books ever. The church totally disagreed with it and many people were rather horrified that they might be descended from apes. Darwin himself said he felt that writing the book was a bit like confessing to a murder. He didn't like defending his ideas in public but a young biologist, called Thomas Huxley, did and a debate between him and Bishop Samuel Wilberforce was viewed as a debate between science and God. 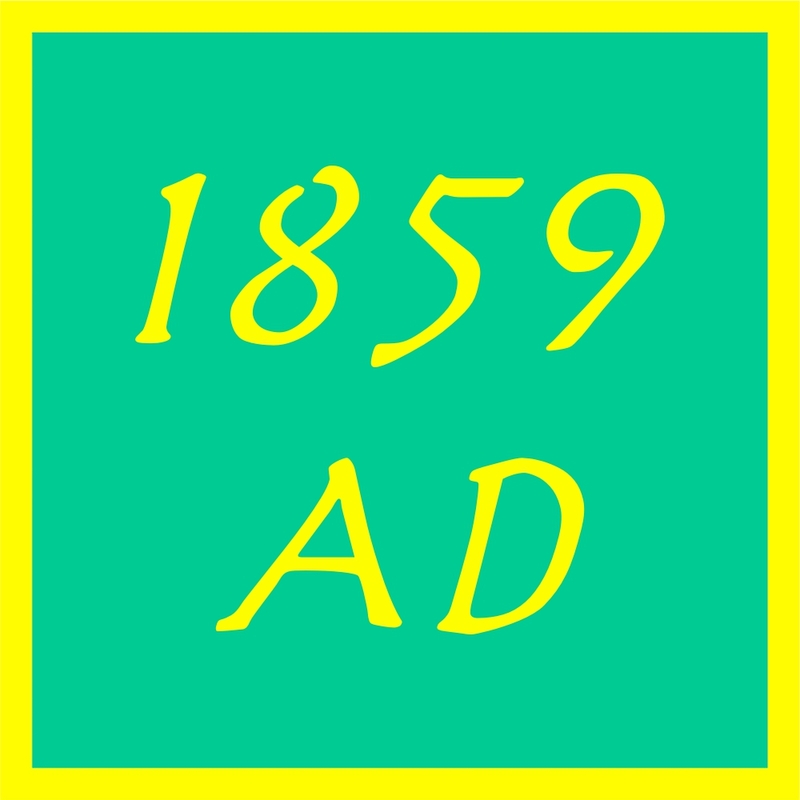 Before Darwin's ideas, some bishops had said that the world was only 6,000 years old and they gave a date of Sunday 23 October 4004BC as to when it had actually been created by God. 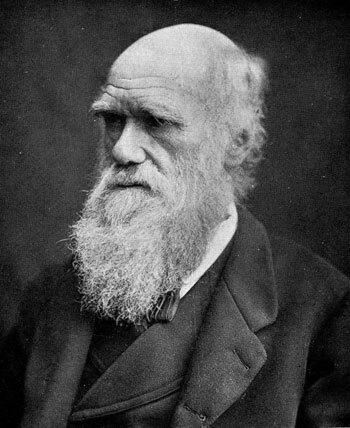 Darwin biult some of his ideas on the discovery of fossils and afterwards, and partly because of the new rail network, ordinary people would go out hunting for fossils, especially along the Kent coast near Pegwell Bay, and finding some that were possibly millions of years old. Finding them there was a bit ironic as it was on that shore that St Augustus had landed and converted everyone, eventually, to Christianity. Irony is something which happens against the expected and causes humour. Ten years later Darwin published an even more radical book called “The Descent Of Man”.' By now Victorian Society was less surprised although many still were against his ideas. It is fair to say that Charles Darwin's theory of evolution by natural selection made us rethink our place in the world. The idea that humans shared a common ancestor with apes was a challenge to the foundations of western civilisation.